Conduct primary and secondary research, process insights and data. Develop visuals for the printed campaign and collaborated in the UX/UI development of the APP. Through research, we identified pet moms as the new trending moms. These moms go online looking for products, feedback, and tips for their loved ones, pets and kids. Moms are concerned about using cleaning products with chemicals since it can risk their pet life. 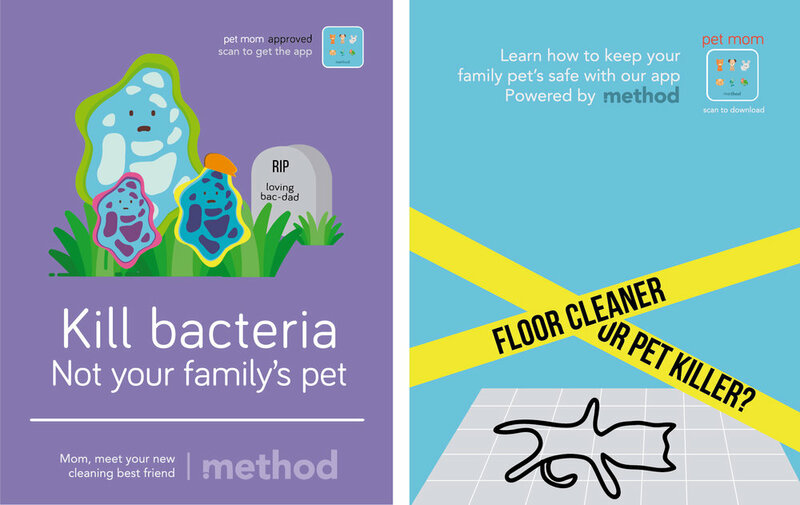 Method's cleaning products are non-toxical, chemical free and sustainable. The campaign focus on the importance of why every pet mom should use them in order to take care of the family.